Many of us have had that moment where something about a food or drink order at a restaurant doesn’t feel quite right when it comes, especially if you’ve had any kind of negative encounter with the wait staff. But in one case, police say they were able to prove which waiter at a Chili’s restaurant had spit into a customer’s takeaway drink, using DNA analysis. The incident dates back to last July when a couple went to dinner at a Chili’s restaurant in New York, according to court documents in a lawsuit filed Tuesday, reports ABC News. The twosome complained to their server, a 24-year-old man, that their food wasn’t cooked enough and that they hadn’t gotten chips. “They were polite to the server, and even left a tip,” the couple’s lawyer told ABC News, with the man echoing that sentiment. After dropping off his wife and son at home, the man went back to the restaurant where he got an apology from managers, a refund and some coupons. However, the staff didn’t admit the waiter was responsible, the couple’s lawyer says. The customer says he then ran into the waiter crying in the parking lot, so he confronted him and asked why he’d spit in his cup. The man says the server denied doing so, and allegedly said he didn’t want to lose his job. Several days after the couple called the police, investigators showed up at the server’s door whereupon he once again denied spitting in the cup but agreed to have his mouth swabbed for DNA, state police say. The server hadn’t been fired and he continued to work at the restaurant until last October when he left on his own accord, court papers indicate. Three months after the saliva discovery, DNA analysis concluded that the spit in the cup matched the server’s. He was taken into custody and confessed to the crime, and was charged with disorderly conduct, according to police. He pleaded guilty in February and got a one-year conditional discharge and a $125 fee. 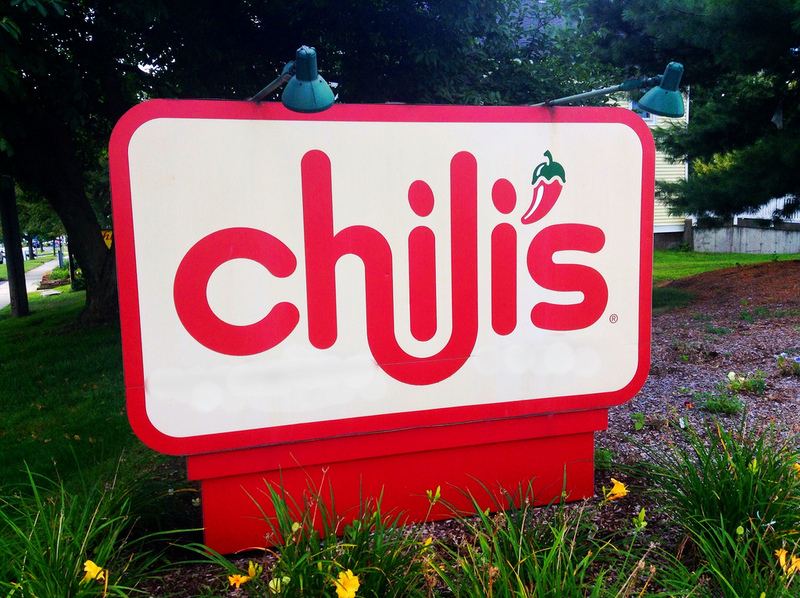 Now the couple is suing him, Chili’s parent company Brinker International and the owner of the Chili’s for negligence and retention of an incompetent employee. No damages were specified in the lawsuit. “Due to company policy and a pending lawsuit, we are waiting to review the case before commenting,” a manager at the Chili’s told ABC News. Brinker did not immediately respond to ABC News.